Thank you Kristen Lamb for some interesting tips about Social Media. Author of 'A Pocket Full of Shells' an Amazon International best seller, Jean writes young adult and historical fiction. She has been known to shed a tear over Little House on the Prairie. 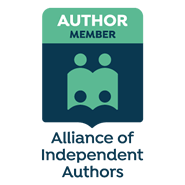 This entry was posted in authors, books, emerging authors, twitter for beginners, writers, Writers Resource and tagged social media for authors, twitter for authors, writers and social media. Bookmark the permalink.